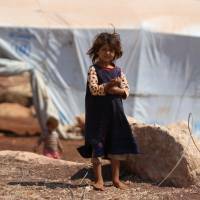 KHAN SHAYKHUN, SYRIA - Violence in northwest Syria has displaced more than 30,000 people this month alone, the United Nations said Monday, warning that a looming assault could create the century’s “worst humanitarian catastrophe. 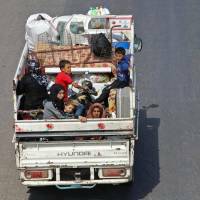 President Bashar Assad has now set his sights on Idlib, and his forces have stepped up bombardment of the densely populated province since the beginning of the month. 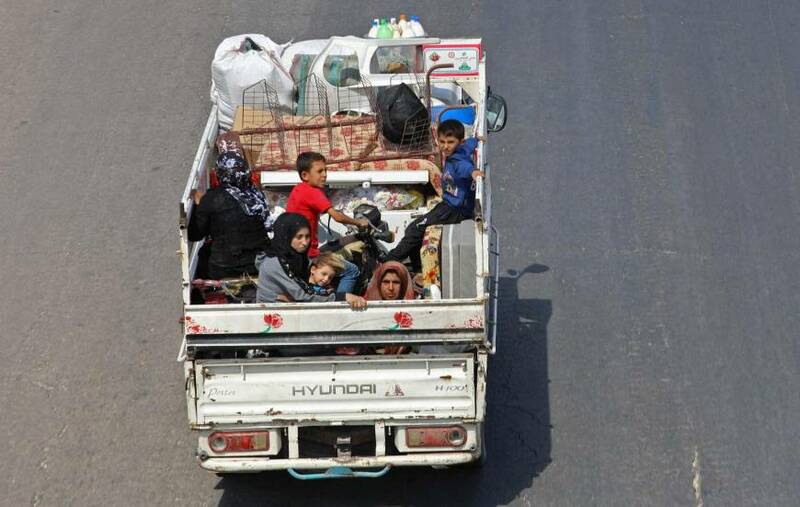 That has prompted an estimated 30,452 people to be displaced within Idlib and parts of adjacent Hama province between Sept. 1 and 9, the U.N.’s humanitarian coordination agency (OCHA) said Monday. An AFP correspondent in Idlib has seen dozens of displaced families head toward the frontier in recent days to escape bombing elsewhere. “They hit with four rockets so we escaped with our flock,” he said. The U.N. has said as many as 800,000 people could be displaced by a regime assault on Idlib and surrounding areas. Some 3 million people live in the zone now, about half of them already displaced by the brutal seven-year war and others heavily dependent on humanitarian aid to survive. 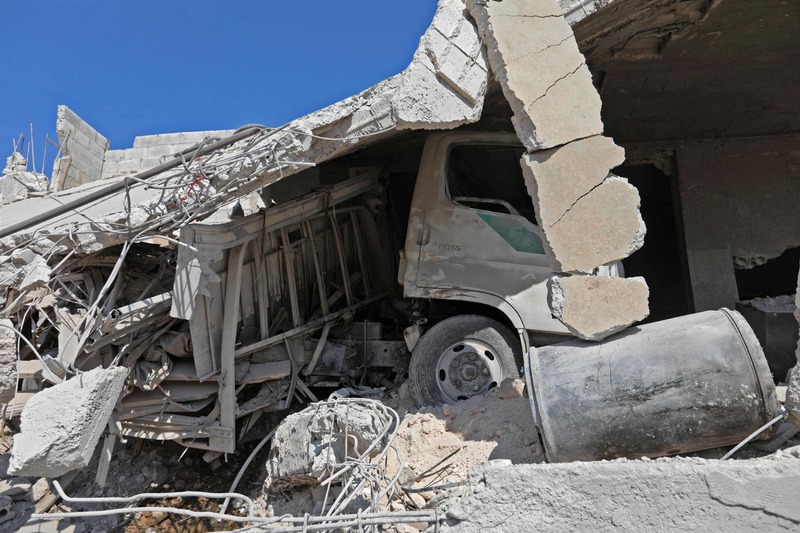 For weeks, regime troops backed by Russia and Iran have massed around Idlib’s periphery, with deadly airstrikes, shelling, and barrel bombs particularly building up in recent days. 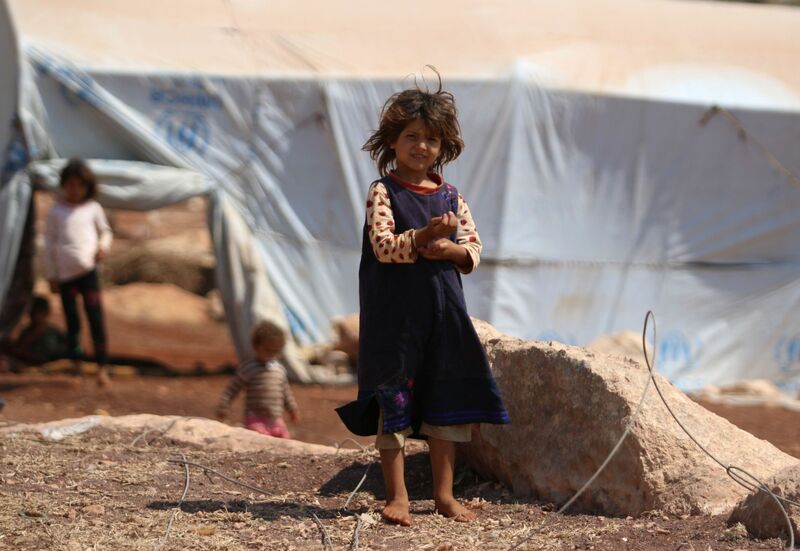 Syria’s conflict has killed more than 350,000 people and forced millions more out of their homes, but the U.N. has warned a full-blown attack on Idlib could bring unprecedented suffering. He acknowledged that there were many rebels and fighters from “terrorist” groups in the province, but stressed that “there are 100 civilians, most of them women and children, for every fighter in Idlib. Idlib is mostly controlled by Hayat Tahrir al-Sham (HTS) — an alliance spearheaded by powerful jihadists once linked to al-Qaida. 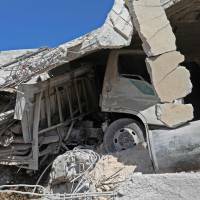 At least two hospitals and two centers running rescue operations for wounded people were put out of service by shelling and airstrikes, according to the Britain-based Observatory and the Union of Medical Care and Relief Organizations, which backs medical centers in Syria. The conflict’s three powerbrokers — regime allies Russia and Iran and rebel backer Turkey — agreed at a summit last week to “stabilize” Idlib, but few details emerged on how they would do. Delegations from the three countries will be in Geneva on Tuesday to meet the U.N.’s Syria envoy, Staffan de Mistura. Moscow wants to keep rebels from using weaponized drones against Russian warplanes positioned nearby. Meanwhile Turkey, which already hosts 3 million Syrian refugees, is keen to prevent an assault that would see hundreds of thousands more mass along its border.